I am thrilled to be a stop on the book tour for When My Heart Was Wicked by Tricia Stirling hosted by Rockstar Book Tours! Today, I have an author interview for your reading pleasure, but be sure to check out the tour schedule below, or click the banner above, to read reviews and more! Welcome to Bookish, Tricia! I'm so excited to have you here with us today! In tweet form (140 characters or less), how would you describe the story of When My Heart Was Wicked to those who haven’t heard of it yet? It’s so nice to be here, thank you so much! Okay, in tweet form: Lacy was a mean girl raised by a cruel mom. Out of her care Lacy has reinvented herself but now her black magic-wielding mom wants her back. Could you tell us a little bit about the inspiration behind it? I knew I wanted to write about a step-mother and step-daughter, because I believe in the power of families that exist outside of the conventional. I knew the real mother would have abused the court system, because I’ve seen that happen again and again. At the time I was writing this, I had a lot of male friends who were fighting so hard for the privilege of being a presence in their child’s life, and I wanted to address that. Beyond that, my inspiration was Frida Kahlo’s journal. I’ve told this story several times now, but as I was writing the first draft, I was reading her journals and stealing images from them which I tried to incorporate into the story. 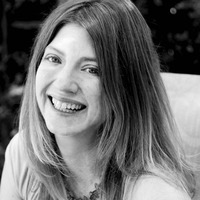 I love Alice Hoffman and Janet Fitch. I read Aimee Bender’s The Girl in the Flammable skirt years ago, and I was floored. I was like, “I didn’t know you could do that with fiction!” Of course I love the magical realists. And I’m making my way through the fairy tales. I recently read The Juniper Tree for the first time and I just loved it. What a strange, crazy story! What is the best moment, aside from being published, you've experienced since becoming an author? It’s my kids being so excited for me. My ten year old keeps saying these lovely things, like “You worked so hard, you should get an award.” My daughter was on Smilebox last night making me a “Happy Book Launch” card. It means everything to me that they’re so supportive and enthusiastic about my writing. If I was magically transported back in time to the Dark Ages, I'd . . . Find some personages of historical significance and bring them back through the annals of time to my high school to help me with my oral report. I'm addicted to . . . water. It’s sad. If I could live in any TV/movie/book universe, it would be . . Erin Morgenstern’s The Night Circus. Listen to this: “The room (the trapdoor) opens into is full of feathers that flutter downward. When you walk through them, they flutter like snow over the door in the floor, obscuring it from sight. There are six identical doors. You choose one at random, trailing a few feathers with you. The scent of pine is overwhelming as you enter the next room to find yourself in a forest full of evergreen trees. Only the trees are not green but bright and white, luminous in the darkness surrounding them.” God. She has a fantastic imagination. I’d love to crawl around in there for a while. Thanks for being here, Tricia! 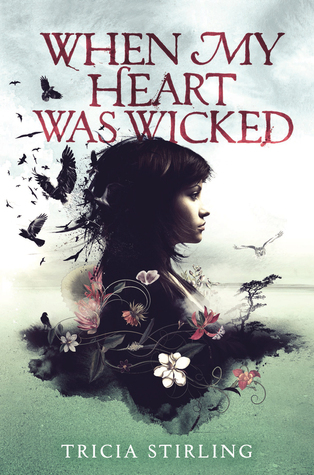 Can't wait to read When My Heart Was Wicked!